It is also designed for those who don’t ever want to be more than 25 feet away from their phone. 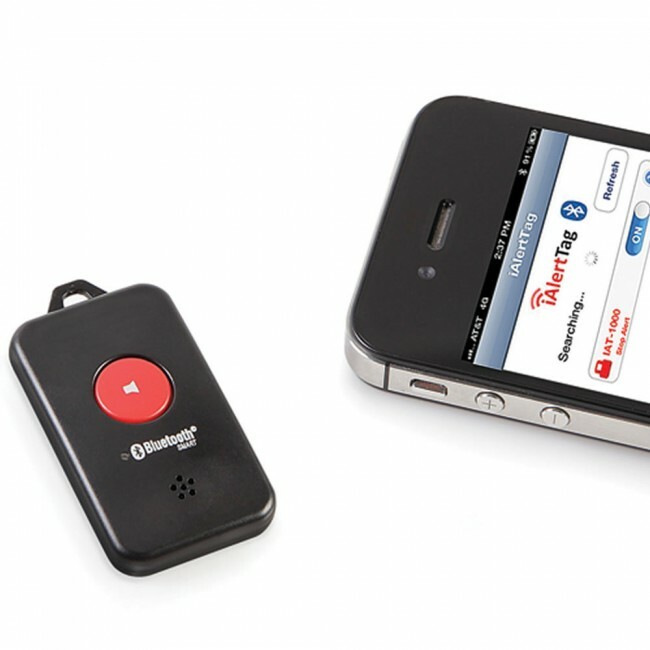 A settings in the free app makes it possible to establish a connection with the bluetooth keyring and when you move more than 25 feet away from your phone, an alarm sounds. Although quite a weird gadget, if I’m honest… I guess it still has its uses for those who either lose their phones or don’t want to risk being far away for a period of time. It currently costs $49.95 and is shipping now from Hammacher.